Family fun says it all for Six Flags. So get ready to let loose and laugh. 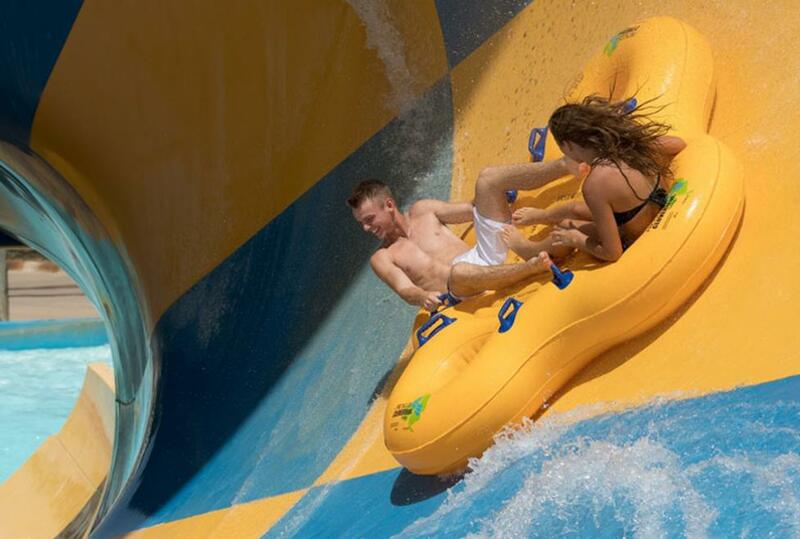 From the steepest slides to the relaxing pools, there are plenty of rides the family can enjoy together. And no worries about going hungry as Hurrican Harbor has numerous restaurants and many snack carts/bars. No visit is complete without stopping by the gift shop for that special remembrance. Groups of all sizes are welcome at Hurrican Harbor. Whether corporate, family reunion, school, church or youth, the staff will help plan and coordinate your special day.